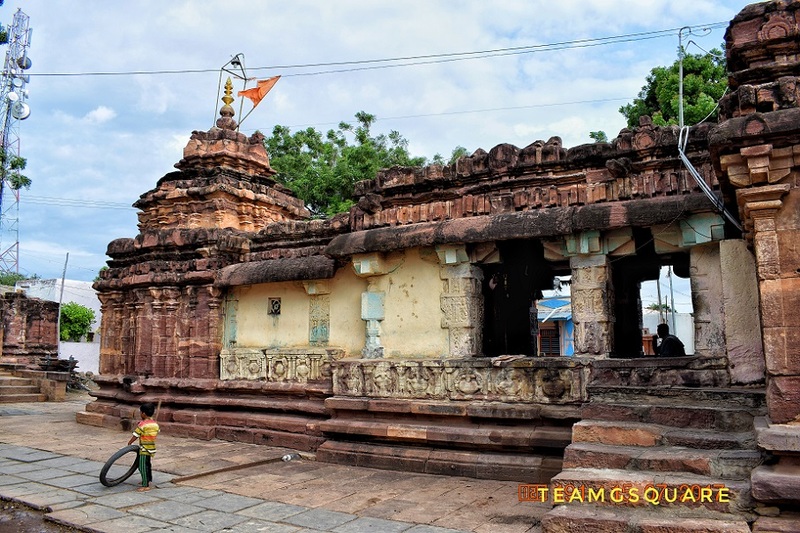 'Sri Basaveshwara Temple' is another beautiful temple located in the village of Hallur. After visiting the Melgudi Jain temple, we proceeded towards the Basaveshwara temple located in the center of the village. It was good to find this temple live with daily worship of the deity. I was startled by fact that not many people were aware of this wonderful temple including the locals, and also the person who accompanied me. He was thankful to me for bringing him along to this beautiful temple dedicated to Lord Basavanna (Nandi). We inquired the priest about the temple's history, but he was only aware about the temple being at least 1300 years old. As per the pre-independence Bombay Gazetteer (Bijapur was a part of Bombay State), this temple was built during 9th century by the Cholas. 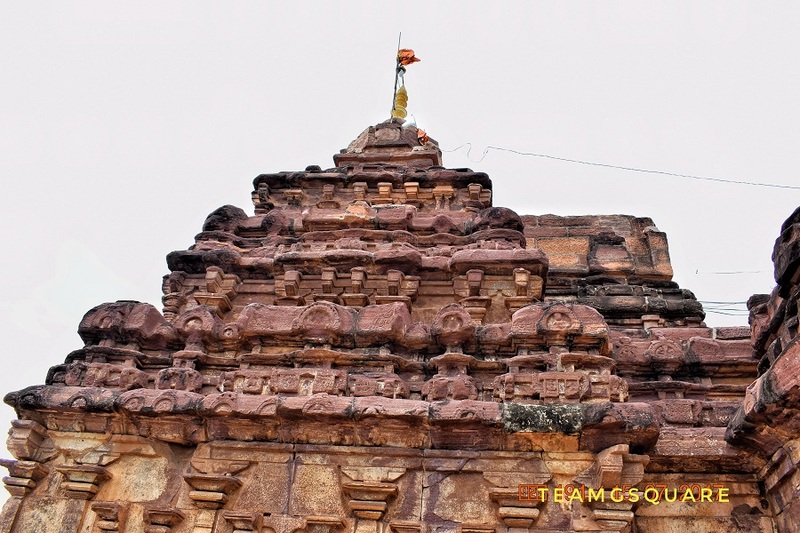 However the book 'Temples of Karnataka' mentions this temple being built by the Rashtrakutas during the same period. 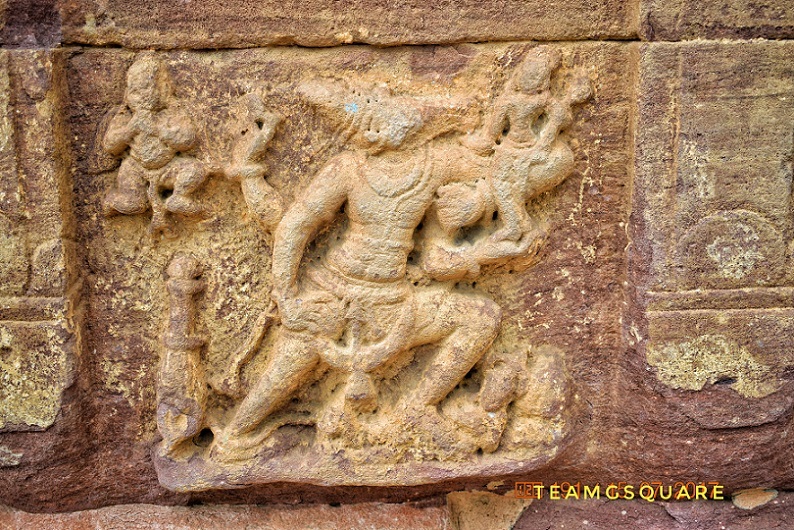 Nevertheless to me, the temple seemed to exhibit more of the later Badami Chalukyan architecture. 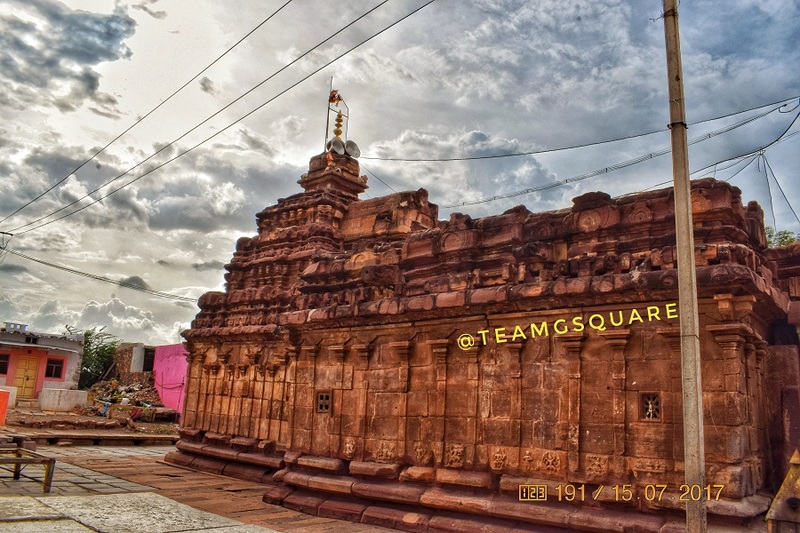 The original name of this temple was 'Vishvesvara Swamy Temple' which over time got transformed to Basaveshwara Temple. 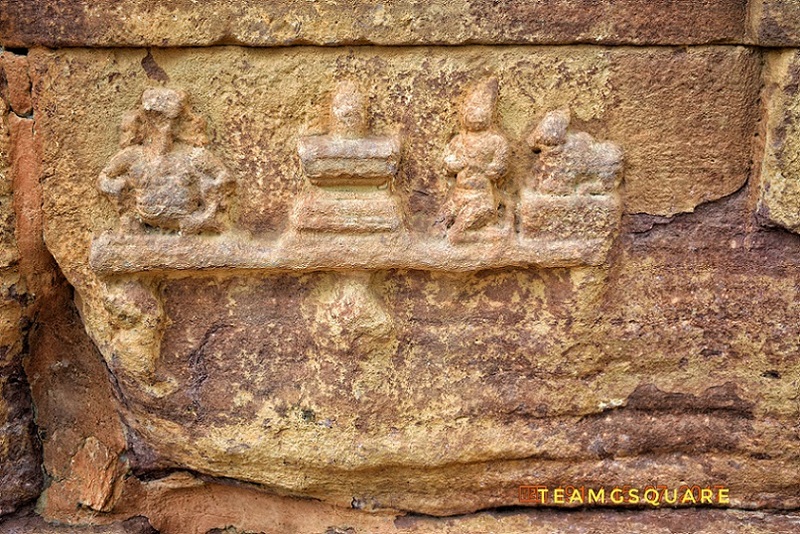 The temple consists of garbhagriha, an antarala, a sabhamandapa, mukhamandapa, Nandi mandapa and a prakara with a Rajagopuram. 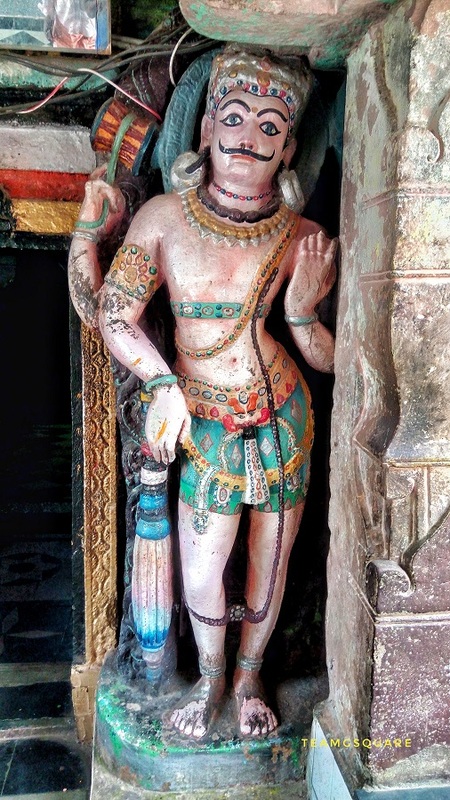 There are two colorful life-size sculptures of Shaiva dwarapalas guarding the entrance of the sabhamandapa. 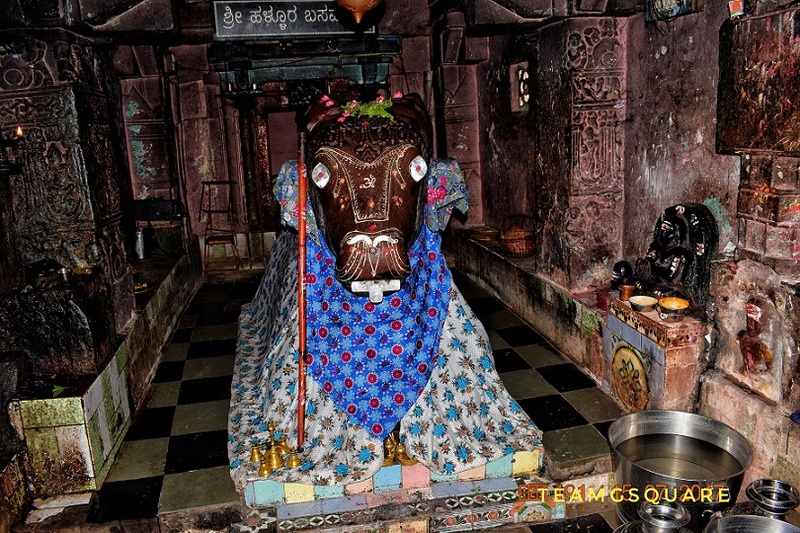 The Nandi mandapa houses a big and beautiful murti of Lord Basavanna. The external walls of this temple are plain and decorated with pilasters. 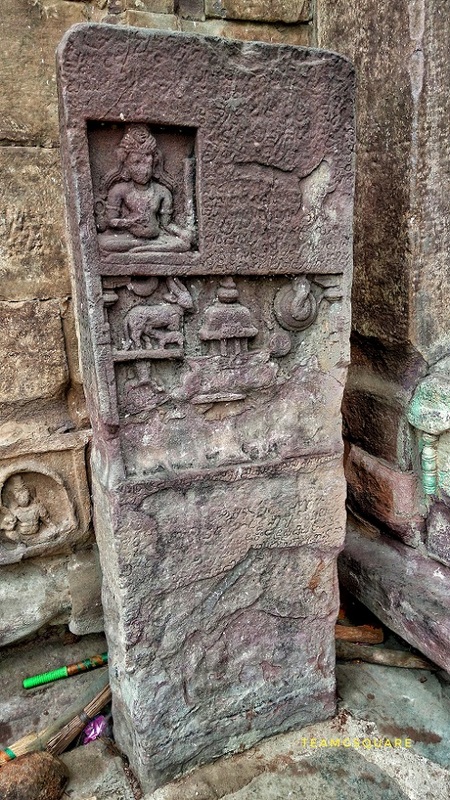 The lower potion of the walls carry carvings of various gods and goddesses like Brahma, Shiva, Vishnu, Varaha, Narasimha, Durga, and Mahishasuramardini to name a few, with most of them being in a damaged state. There are many houses around this temple, thus cramping the temple space. Though this temple is well maintained with prayers being offered and pujas being performed on a daily basis, it surely deserves more publicity to attract devotees seeking blessings of the Lord. The annual jatra is held during the months of December - January in reverence of the Lord. 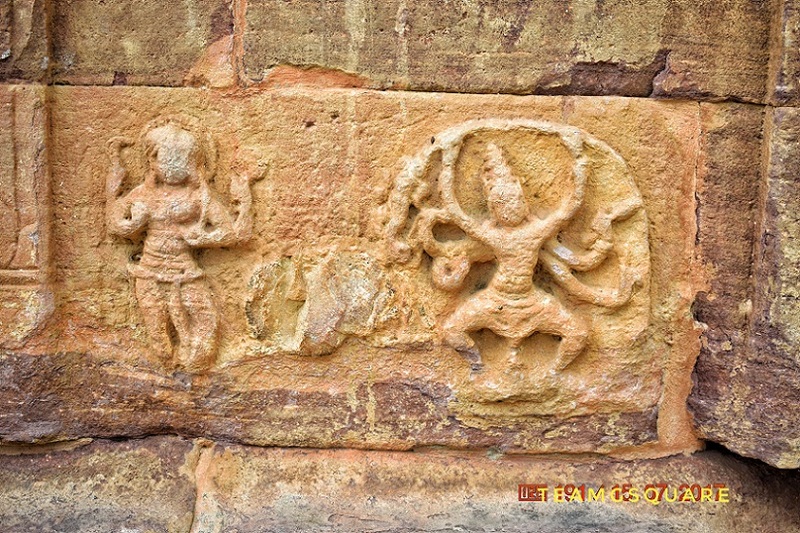 Also, the festival of Mahashivarathri is celebrated here in a grand manner. 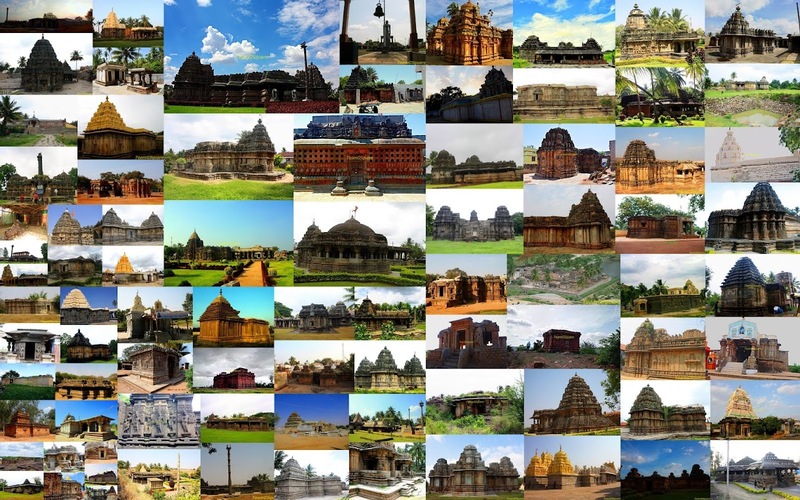 Places to Visit Around Hallur: Kudala Sangama, Badami, Aihole, Pattadakal, Banashankari, Bewoor, Mahakoota, Shivyogi Mandir, Gudur and many such. 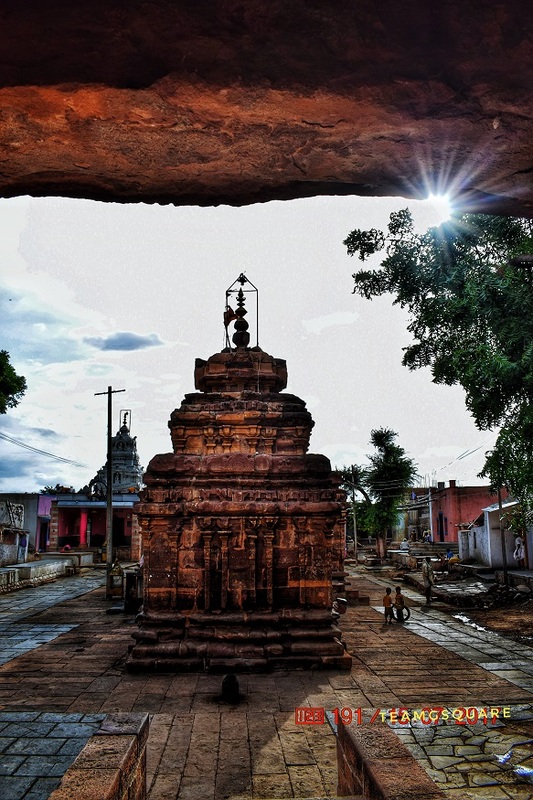 How to reach Hallur: Hallur is located of f the Bagalkot - Kudala Sangama State Highway and is about 18 km from Bagalkot. Accommodation: There are no options for accommodation at Hallur. It is better to treat Bagalkot as the base which offers various options to suit one's budget. Lovley pictures of a beautiful temple. Good information. Wonderful temple. Great to read . This was a visual treat. So well captured! Well done.